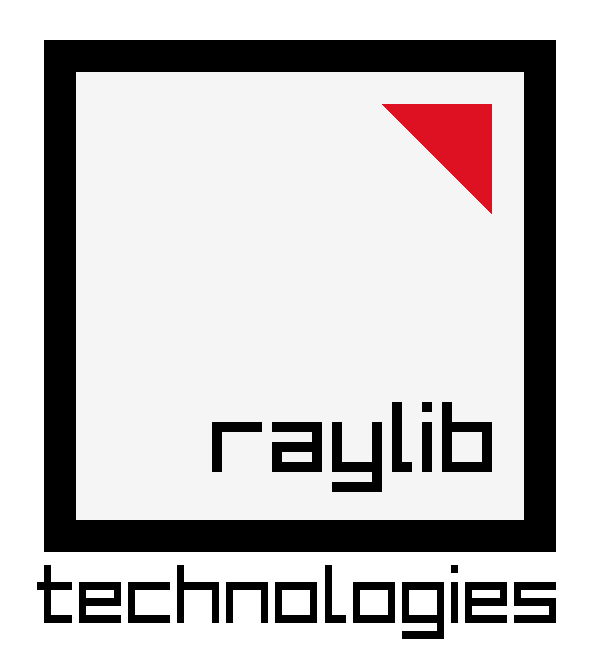 In raylib technologies we develop custom tools, ready for pipeline integration but also with simple users-friendly GUI interfaces, prepared for all kind of users. Following tools are just a showcase of what we can do! Image viewer and pixel-format conversor with some useful image editing functionality (POT convert, Alpha clear, flip, rotate, resizing...). The perfect tool for texture optimization and batch image processing, with a powerful command-line. Image packaging tool, just create your texture atlas with your custom file-format! Pack all your images in a single texture, perfect for drawing optimization of your game. Tool also supports fonts atlas generation from TTF. Import images, audio, models, text... and export data as an array of bytes, ready to be emdedded with your source code instead of sharing external resources... lots of options, embed full files or just specific data (pixels, samples, vertex data...). Dungeon map generator. Create dungeons map easily and export them for your game. A perfect tool for game prototyping, specially aimed for education. Procedural sounds generation (chiptune) for your games! Just set desired wave parameters and generate it! Export parameters for in-game generation if you want! Create tools layouts in a visual way and export them directly to code, the fastest way to create custom tools! Create custom gui styles for your new tool in a visual way, choose colors with style! Generate quizz tests in a simple way, just editing a plain text file, multiple configuration options for test gamification and get results automatically! We develop custom tools tailored for your pipeline. We use our own technology, developed in-house along 5 years and offering incredible benefits over any other existing technology for software development. Check it out! Choose your target platform for our tool. We can develop tools to work on desktop platforms (Windows, Linux, macOS) but also Android or embedded devices like Raspberry Pi or custom embedded hardware. Our tools can also run on web if required! Our tools have no external dependencies. Forget about additional libraries or files, they are not required to run our tools. Just download the self-contained stand-alone tool and integrate it seamlessly in your pipeline. It was never that easy! Coded in low-level language (C99) and hardware accelerated. Our tools use all the power of your computer to run at maximum speed and with low memory footprint. Developed for maximum performance avoiding unnecesary over-engineering! Not a coder? Not a technical user? No worries. Our tools could include fancy and simple visual GUI interfaces prioritizing user-experience, adapted to all kind of users. Just let us know your needs and we will create the best interface for you! Power users probably want full control through a command-line and that's one of our key points. We really focus on a powerful command-line to expose all the tool functionality in an easy an intuitive way. Ready for pipeline integration and batch processing! We care for code maintenance and sustainability. Our code is simple and carefully crafted with that objective in mind, with clear sections and comments. Do you need some hot-fix? Some new features? We care for your tools! We are a small company in the center of the beautiful city of Barcelona. Despite still being a small and young company, we already have our own powerful tools-dev technology, carefully crafted during more than 5 years. Clients satisfaction is our priority and we really care for each one of our products. We analyze every client needs, working closely with them to create the perfect tool for their process. We are friendly and we are here to help, we love to create the best tools for our clients. Do you need more info? Don't hesitate to contact us! We are pleased to answer any question! © Copyright 2018 raylib technologies based on Puremedia web template designed by styleshout.